Google has added new anti-malware capabilities to Android 4.2 "Jelly Bean," but relying on them to block malicious apps might not be a good idea, says a computer science boffin from North Carolina State University. 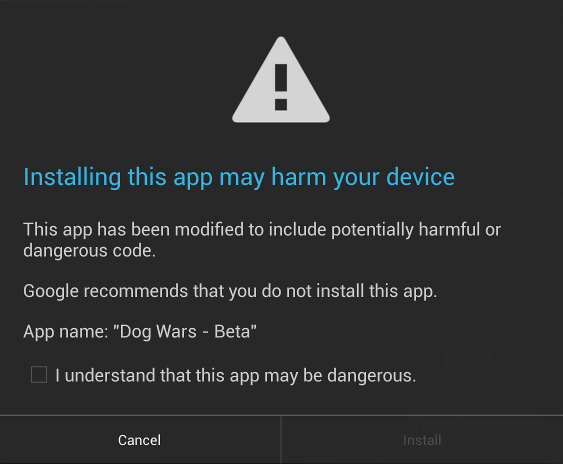 The latest Android – currently only found on a select group of handsets – includes an on-device "application verification service" that claims to be able to alert users of potentially harmful apps and block their installation, irrespective of where they came from. Associate professor Xuxian Jiang wanted to know how well the new feature fared against known Android malware, and to that end he pitted it against a collection of samples obtained by the university's Android Malware Genome Project. The results? Not so good. Of the 1,260 samples tested, Android's on-device malware checker only managed to spot 193 of them, for a paltry detection rate of just 15.3 per cent. That's bad news for Android users, as the instance of malware attacks on the platform has reportedly been growing – a point that Microsoft, in particular, has been using to flog its own, rival smartphone platform. Jiang went on to pit the same sample collection against an assortment of ten Android-based antivirus engines. Without naming any of the products involved, Jiang reports that all of them fared significantly better than Jelly Bean's built-in one, with even the poorest performer catching 50 per cent of the malware. Those are better findings than those reported in March by AV-Test, which reckoned that only about a third of the malware scanners for Android were actually up to the task. Why such a poor showing for Google's product? According to Jiang, Jelly Bean's app verification service relies on relatively few data points to decide whether or not to block a given app install. "Specifically, our study indicates that the app verification service mainly uses an app's SHA1 value and the package name to determine whether it is dangerous or potentially dangerous," he writes. "This mechanism is fragile and can be easily bypassed. It is already known that attackers can change with ease the checksums of existing malware (e.g., by repackaging or mutating it)." Jiang further observes that Google has not integrated VirusTotal – a file-scanning security service which it bought in September – into the Android platform, but that VirusTotal performed significantly better than the app verification service in Jiang's tests. Although Jiang notes that some form of malware checking more sophisticated than Jelly Bean's on-device method is necessary, however, he cautions that a delicate balance must be struck between security, device performance, and user privacy. What's more, Jiang is quick to point out that the fact that Google is paying attention to Android security at all is welcome news. Prior to Android 4.2 – which is running on just 0.8 per cent of the devices out there, according to Google's stats – Android devices included no on-board security features at all.